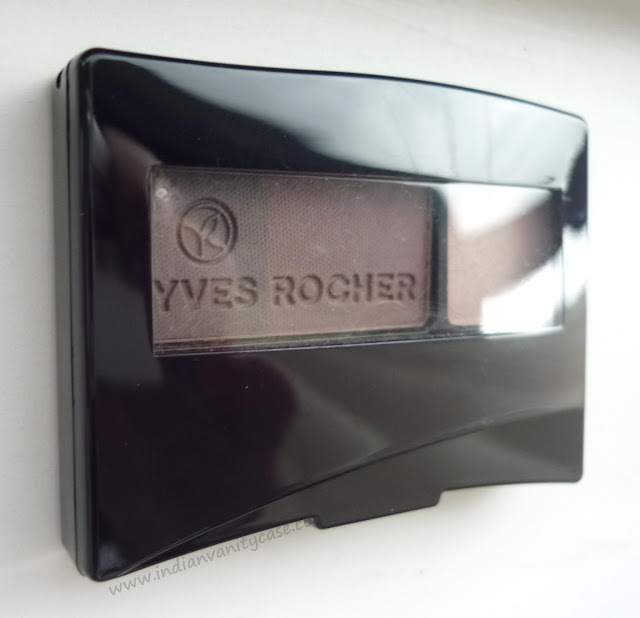 This is the very first Yves Rocher product I ever bought, and I'm quite impressed. 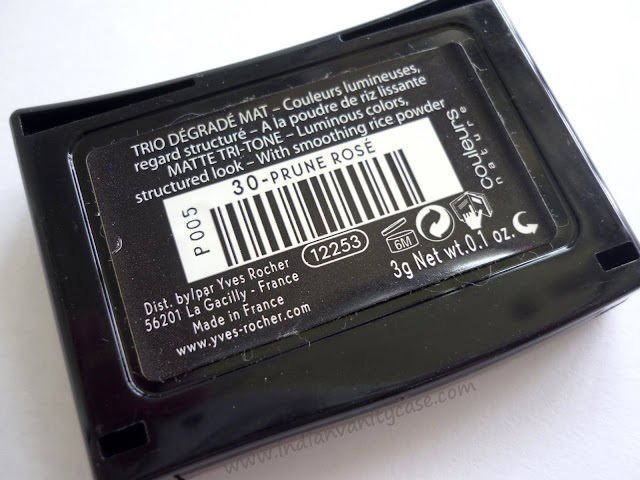 This eyeshadow trio was the only thing I used everyday single during our 2-week vacation last month. 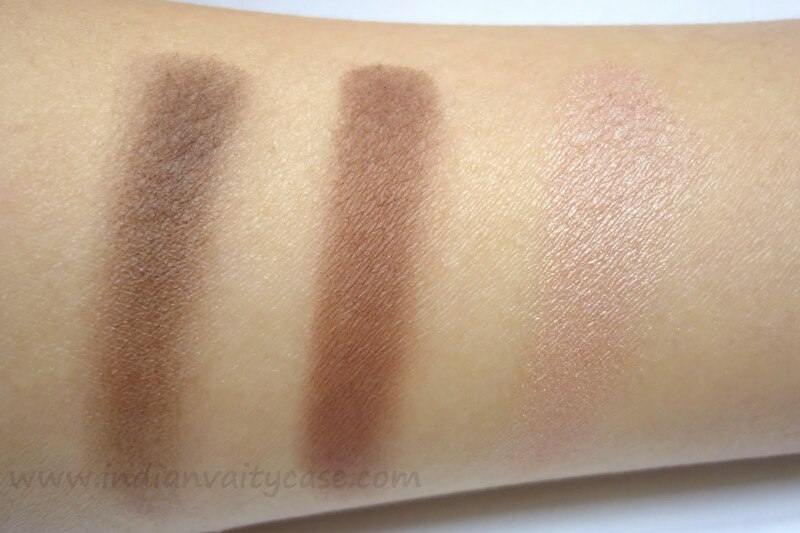 It is so easy to use and has got all the colors I need for an everyday neutral, sometimes smokey, look. I love it! This 2 1/2 x1 1/2 " palette is small & light, and it fits in my palm. It comes with a pretty good dual-sided sponge tip applicator-one side big & the other small and pointy, so I do use it quite a lot. Colors: Dark chocolate brown, plum brown & pale shimmery pink. The eyeshadows have a smooth texture, blend easily, and are pigmented. I like that they made the lightest color shimmery, coz matte light colors tend to look chalky. Dark chocolate brown to line top (and winged) and bottom lash line. Other products used: Lotus Kajal & Maybelline Pulse Perfection Mascara. Rating ~ ♥♥♥♥♥ 4./5. I wish it was a little cheaper. Maybelline quads cost Rs.225 and they are bigger! I also wish it had a mirror. Availability ~ Yves Rocher products are sold in Guardian Pharmacy in New Delhi. there's one in Select City walk Mall, Saket. 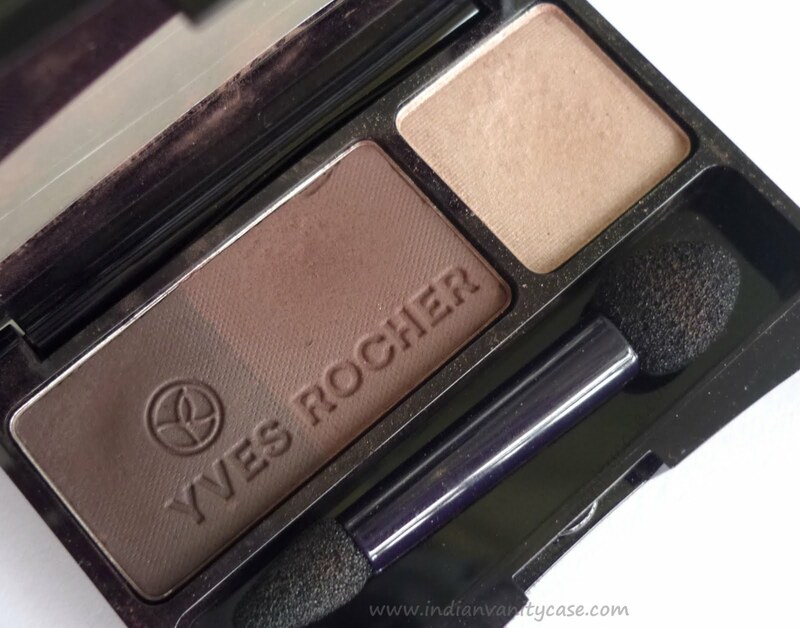 Have you tried anything Yves Rocher? Nice colours and cute lil pallette. dis does look nice n pretty pigmented.. I love their shower gel! the vanilla scented one. This looks really, really nice.. I really like all such brown shades - I wonder where this brand is available in Mumbai..
Wow.. Liked the way you have worked it on you. Hello Cynthia, Yves rocher brand is very popular in europe. I have tried their blush, it was very pigmented. neutrals look great on you hun! 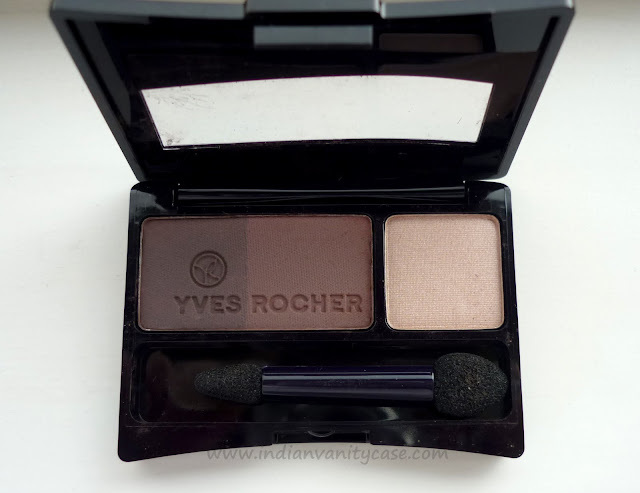 I love Yves Rocher products! I saw a huge water Nymph collection in Paris in the Spring. I'm sure it'll be ages before it comes to Bangalore. Cynthia are they selling the skin care products as well, i.e. body lotions, shower gels etc? Preeti- Yes, they sell skincare products too :). They looked tempting! Eden- Try the Taupe shade. It's nice, I lamost bought it instead of this.